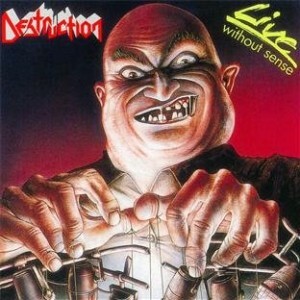 Live Without Sense is a live album by German heavy metal group Destruction. It was recorded at concerts in Vienna in 1988 and was released in January 1989. Is it an excellent live album? This entry was posted in 1980s Live Albums, Heavy Metal Live Albums and tagged 1980s hard rock, 1988 live albums, heavy metal 1988 by Paul Simister. Bookmark the permalink.